"What we are seeing is a lot of safe-haven support with the equity markets selling off, coupled with a weakness in the U.S. dollar," said Alex Turro, market strategist at RJO Futures. "Jobless claims came weaker than expected and ADP numbers missed. 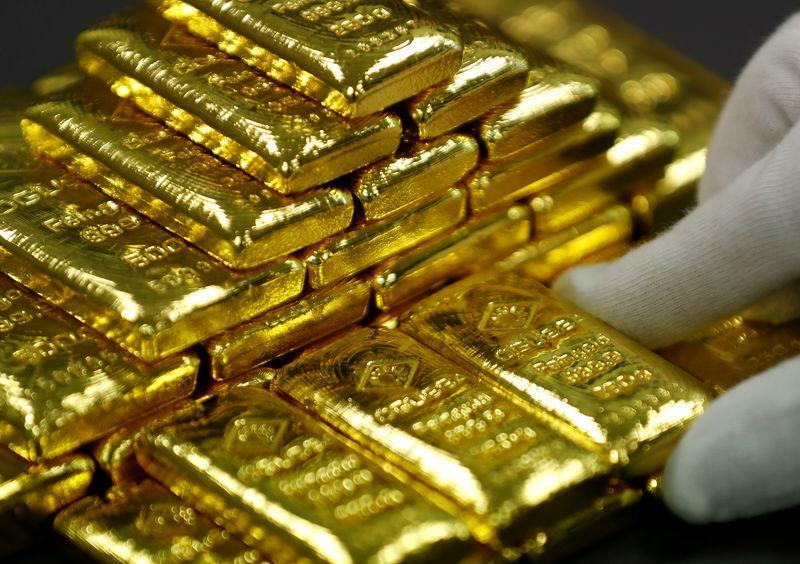 That leads us to the fact that the U.S. Federal Reserve may be coming off the hawkish tone they had and this ultimately is just going to provide more underlined support for gold." Traders' attention is now turning to Friday's non-farm payrolls report, which is also likely to be on the U.S. central bank's radar. "The weaker dollar is keeping gold positive at the moment. If you look at the other markets as well, there is a kind of risk-off situation going on," said Phil Streible, senior commodities strategist at RJO Futures in Chicago. "It's just profit-taking. Lots of money has moved in there so investors are checking out and taking some profits," said Rob Lutts, chief investment officer at Cabot Wealth Management.